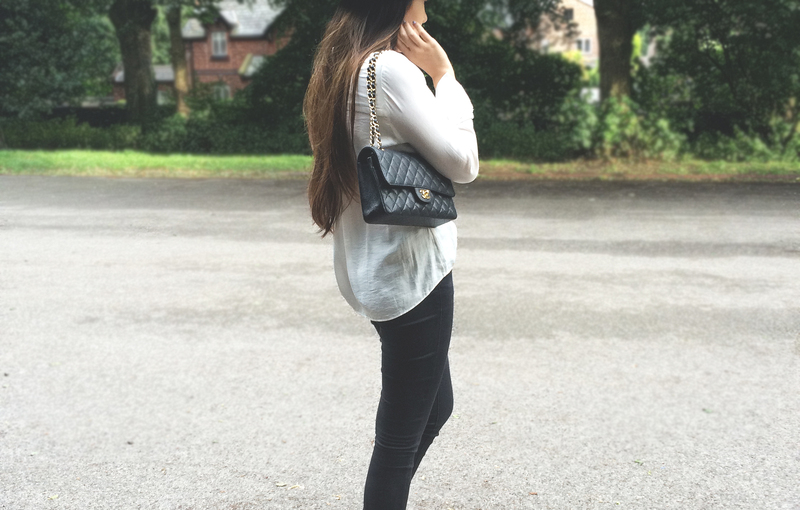 Zara shirt; Topshop Leigh jeans; Zara shoes; Topshop hat. Whaddup, Daisybutter readers? This post might have caused you some confusion in your feeds because I am indeed of the oriental variety, but unfortunately, I’m not Michelle. I’m actually Jade, hopping over for a guest post from my own blog, The Jade Aesthetic. The perfect, crisp white shirt is highly coveted by many and owned by few. But rather than joining this pilgrimage, I prefer to go straight for the slinkier jugular. (Read: cba ironing/feels like pyjamas.) You know what I’m about to say; Michelle knows what I’m about to say; even my hamster knows: thank God for Zara!! 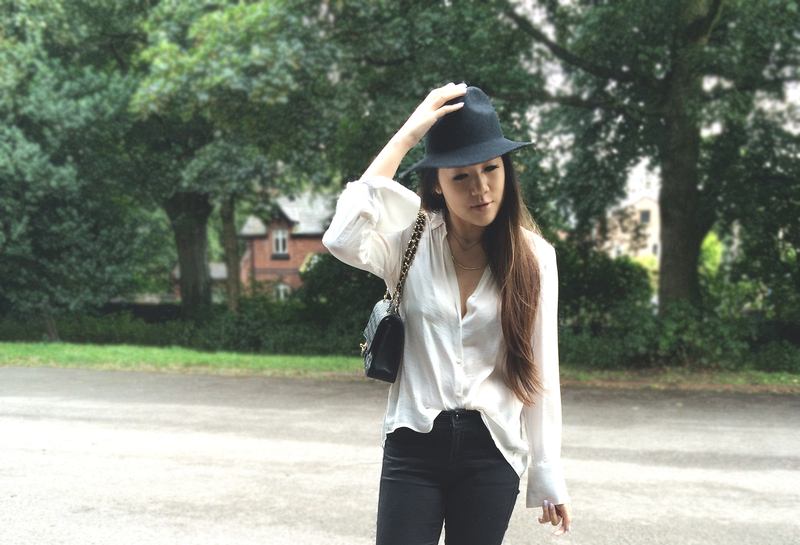 The silk shirt you see before you is this season, so snap it up quickly! Every wardrobe needs a versatile shirt like this one. It feels and looks luxe but without a ridiculous price tag! Tip: hand wash silk clothes with shampoo to keep them in perfect condition. Admittedly, the fedora was a bad call because it was, as a certain tubby yellow bear would say, a blustery day. But I couldn’t help it, since it quite literally tops off the look. Fedoras get a bad rep on the internet for some reason but I am A-OK with kicking up my chicness a few notches just by channelling a hat rack. A mahoosive thank you to Michelle for allowing me to grace the Daisybutter stage. If you liked my post, do have a gander at my blog here. Fun fact #3597: Michelle, the bloody genius, was the one who came up with my blog name!